Team leader describes all the roles and responsibilities to the team members. KPI’s are used so as to evaluate each member’s performance. Team leader provides full support to the team members by consulting them. Strategy of participation management is adopted by the team leaders. Team leader should provide full knowledge to the team members. Leader provides a positive feedback if the team member work is worthy. Team leader develop an easy environment to communicate. Self-managing or self-directive team is developed. Team leader should counsel the team members in case of any problem. Any team member acts as a role model to every member so as to achieve the tasks. Will help to discuss the problems easily. An open discussion is conducted so as to share information. It will help in solving the various issues that are faced by the team members. The issues that are raised by stakeholder’s team leader should forward to higher authority. Team leader will do all the activities so as to solve the conflicts. Proper leadership methods are used by team leader to focus on outcomes. Points for discussion: the point that is discussed over here that how a team leader manages all the activities on the other hand also manages the team members and their conflicts and issues. 1. A team is basically a group of people only but come together for a common purpose or to accomplish common goals. But a general group of people don’t share a common purpose. This is the main difference between a team and group of people. Other than this difference team needs a proper coordination in their task unlike the group of people. In a team the members are interdependent on each other on the other hand in a group of people they are fully disconnected with each other. In a team there is a formal structure of for each and every activity and in group of people there is no proper structure. 2. For the existence of a team there has to be a clear and proper purpose. A clear purpose defines all the goals and objectives to the team members and work accordingly. A clear purpose also creates proper communication chain between the members of the team. Other than this a clear purpose also creates a solid base for plans and to accomplish them. Lastly, a clear purpose encourages excellence in the team member’s work. 3. Within a team role ambiguity can be occur that affect the individual performance in the organisation as well as having the affect in achieving organisational task. It contains these points in team framework. Team cohesion: Maintain the unity between team members and avoid the situation of conflict. Personal achievement: Focus on individual achievement of team member that helps to increase their inspiration level. A new established team require a person that can be help to guide or motive for doing better work. It is related with suggest to team for better performance. A team leader should be requires to ensure about their roles and responsibilities that is related with assigned the individual work according to their skills. It helps to achieving organisational goals. Team leader should be requires to focused on team ambition and their scope. It requires check the performance level of team member using performance evaluation criteria. Further checking the actual performance it should be conduct training and development program to enhance their skills. These efforts of team leader can be helpful for development of better team and providing better output. Success of any team is based on identification of team goals and objectives as well as requires better result for team management. It ensure about team purpose and their motive to work in a group. It helps to identify their goals and objectives. Purpose of team work is based on better management of work and requires skilled personal that focuses on achieving team goals by using various strategies. It can be helpful for team members to enhance their motivation level. It is all purpose of team should be approved by team members as well as required team member’s approval for it. Without team purpose and goal a team cannot perform better therefore it is require to focuses on team goals. Each organisation should require to having the information about legalisation as well as maintaining the documents about goals and purpose of team. As the example of Institute of Public Administration Australia is related with providing government service as well as having the encouragement of public service. Their goal is related with development of public policy in Australia therefore it contains its mission statement. It also maintains its roles and responsibility statement that is based on providing individual responsibility to their team members. It contains individual roles and responsibility to achieving organisational goals and objectives. It follows national constitution while providing their service to public. Therefore it is having all proper documents to providing their service to public. In the team work, roles and responsibilities should be discussed with team members that can be helpful for doing better work accordance to their skills. In team task would be assigned with the skills and knowledge of team members therefore they can perform better as well as help to achieving team goals and objectives. a) By using smart strategy sales team should be focused on achieving team goals during 12 month that are as follows. b) Sales person should be requires to check the efficiency of their goals by using KPIs as well as goal standard. KPIs is related with key performance indictor that ban be used to check the performance level of sales for each goal. Sales force is focused on achieving their goals and objectives during whole year. It needs to increase their sales turnover by 30% as well as focus on target to 7-12 year age group. Therefore sales person should require to focuses on increasing sales volume that would help in increasing their accountability. c) Each targets of team is focused on achieving their goals within a year therefore they should require to creating better strategy for achieving these goals. 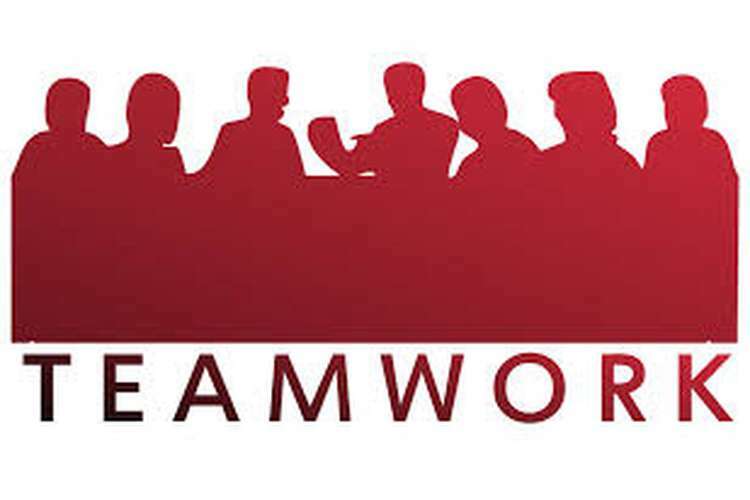 d) Team goal is based on providing proper training to team members that would help in enhance their working capability for achieving organisational task. It requires better manpower to conduct a training program. It can be affect cost and time of company that can be considered as company risk. It is an important task in team member to en\courage to team member for doing better work. It is related with better planning, decision making strategy of team leader that is based on achieving their goals and objectives. It requires the performance evaluation of team members as well providing them feedback to providing them result. Team leader can be encouraging team member for doing better work by avail them some reward for their achievement. In the team work support of team leader should be require. When persons enter into the new established team then they does have sufficient knowledge therefore team leader should be focused on developing identify of team. As well support of team leader is also require to raise a new question while new experiment in a team therefore team member can be provide proper solution of these. It can be helpful in the experiment. Team members should require a better way to doing the organisational task that can be provided by team leader. Therefore team leader support should be requires at each stage of team development. Liner progression of team development can be occurs by various reasons that can be affect the performance of team member. Team work should be based on ethics or culture that is an important aspect of team work. It can be affect the team member performance that can be accordance to the expectation of team leader. There are various techniques are available that include the conducting social events to encourage the public for better work. It can be use presentation technique to sharing the information about team work that is an affective technique. Team leader can be conduct the team games that provide comfort to team members therefore team member can be perform better as well as helpful in achieving their goals. It can be encourage to team member by providing the opportunity of decision making in a team. These aspects of team work should be based on ethics and culture. 1. Self managing team is related with the team member’s efficiency for doing better efficiency for doing better work in the organisation, it is related with self managed their roles and responsibility for organisational development. It excludes the requirement of training for team member because they have the ability of self management of their tasks for team work management. Therefore team leader should e focuses on development of self managing team in the organisation that can be helpful for better management of team work. 2. 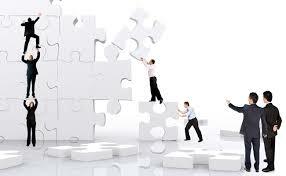 Self managing team has an important role in the organisation that is related with managing their task individually. It is related with acceptance of their roles and responsibilities for the purpose of team work that can be helpful to provide better output of team member. It has the ability of continues improvement in the skills of team members as well as their skills. That allows team leader to for control the efficiency of team member in the organisation. It is very helpful for team leader to managing a team. 3. Team leader can be faces various challenges while creating the self managing team by these barriers that are as follows. 4. To guide a group of people for focus on team planning and their decision making strategy to achieving team goals and objective various strategies would be followed. It can be conduct proper interaction with team member to communicate their policy and procedure about team work. It should require to conducting training program to improve their efficiency to focuses on these strategies. As well as team leader should require to conduct autocratic leadership strategy to providing the opportunity in the part of planning and decision making strategy of team. Andrew was the implementer and was confident in doing the work. He should allocate the task to members and ensures that members had to do task. Simon was the shaper; he used to give challenge to team members that they prove their skills. He finds the best approach to solve the problem. Jack was the completer; he finishes the project on time and also motivates his team member to complete the work on time. He achieves perfection in his work. Rose was the plant; she used to give her innovative ideas to the team. She did not want to work in team and her ideas are novel or impractical. Jenifer was the monitor; she used to evaluate ideas of the people. She was not emotional and sometime, also a poor motivator. She had the strategic approach in evaluating the ideas. Alina was the specialist; she had the specialised knowledge and skills in getting the work done. She was the expert in her field and maintains professional status. John was the coordinator; he acts as a team leader and guides his team towards the achievement of the goal. He had the quality of leader and listen to team members. Elyse was the resource; he was the innovator and negotiator. He negotiates on behalf of the team. He was very enthusiastic and help member in accomplishing their goal. The leader has to segregate the roles and duties of the members. Workload on one member irrespective of others can losses the productivity in the team. And also, effect adversely on the outcome of the produce. So, according to the role of the Belbin, delegate the role and responsibility to each member in the team. Leader has to define the roles and duties so according to their expertise. Team members have to maintain the balance the roles and duties among members of the team and members of another team also. It is the responsibility of the leader to recognise the team’s imbalance. That’s why organization has to follow the mix role of the team as it provides effectiveness and productivity. 1. Recruit new members and transfer the experienced member in the team to make balance. 2. Leader should give support to the members so that they can achieve the goal. 3. Segregate the roles and duties of each member in order to avoid the workload on one member. 4. Provide training to the employees for developing the cross- functional team. 1. Provide each team member with their clear job description by conducting the induction. 2. A leader has to circulate the information regarding organization’s policies, protocols, procedure and expectation. 3. Leader has to define the roles and responsibility of each team members. 4. Leader has to establish the team culture which is understood by the members and organization. 5. Support the team members and provide training by transferring of the experienced person in the new team. 6. Leader ensures the availability of the resources through experienced person can coach and mentor the new members. This case is based on handling the consumer quarries at the face to face or telephonic method. Therefore it can be treat as a busy call centre. In this organisation the communication gap has been occurred that can be generating big issue for the organisational work. While availability of the consumer complaint company should require to handle this situation by using better strategy that can be better strategy for team member. It is based on managing these issues as well as focus on growing the better strategy for taking feedback of the clients. It has been generate a complaint of clients therefore team leader should require to handle this problem by creating better strategy. Team leader can be handling this problem using this technique. 1. In the team member various challenges can be occur that can be affect the team work efficiency. Therefore team leader should be focused on t\resolving the cause of these challenges. Some resolving techniques are as follows. a. Avoid the condition of misunderstanding between team members. 3. Team leader should be focus on problem solving problem that are as follows. 1. If all the team members work together they can provide benefits to the whole organization in order to achieve the organizational objectives. Organization: With the combined team includes better management efforts, diversity in the ideas of every individual that result in better coordination and maximizing the output in the given time period. Team: Team members are different person comprising of different ideas and involve the culture of commitment towards the attainment of organizational objectives. Team must work in synchronized manner so that feeling of coordination must develop in each other and all of them can work mutually. Individual: Individual must be befitted by working in the team involving complexity of idea that help in the career advancement of the individual and feeling of togetherness must be developed in each other. 2. For having full commitment of the team members in order to achieve the desired objectives teams must have clear objectives to perform their duty, must have proper and clear communication among the members so that their role and responsibility must be clearly assigned to them. Active listening must be there in order to have clear roles and responsibilities. Positive environment must be there that may have the provision of respect for other people view. Team leader focuses on providing proper training that can be helpful increasing their skills for the organisational development. It is an important factor that can be useful for development of team. A leader can be identifies the level of performance of team member via KPIs that is related with key performance indictor. It can be helpful to check the work accuracy of team members. Team leader focused on developed the attitude and confidence of team members that is related with managing the individual work efficiency. It can be helpful for enhance the accuracy of team work that is helpful for increasing the working output of the organisation. As well as team leader creates various strategies to resolving the issue of team members. 1. In the organisation open communication strategy should be require to resolve the issue of team members that would help in resolving the issue of team members. It can be identify as direct interaction between team members and team leader. It is related with developing the better strategy for communicate with team members without any barriers that affect the performance of team members. It identifies as sharing of ideas, thoughts and issues with team leader without any barrier that can be provide instant response to team member towards their issues or thoughts. It can be help to provide better result to company. 2. The action which should require developing the team those are as follows. A leader has positive as well as confident attitude in the organisation that can be relate with completion of organisational task. It can be affect the performance level of team member. Team leader should be act as a role model that is related with inspire to team members with live example of other. It helps to increasing the inspiration level of team members and increasing their work efficiency. It can be affect the attitude of team member that is based on better work performance. It can be used for managing better work efficiency of team members that would help in managing their roles and responsibility. A role model always focuses on managing the working attitude of the team member therefore it can be analysis as their work efficiency. Role model has a positive attitude in the team that is related with developing their working efficiency.In the organisation all team member can be inspired by availability of team leader. A team leader has an important role in team development. A leader is the person who focused on inspire or guide to the group of people or a team that is relate with inspire them doing better work and achieving the organisational goals and objectives. Team leader has an important role in the team work that is based on providing training or development to team member for doing better work and achieving organisational goals. It is based on developing better strategy for management of the team work as well as using better strategy for resolving team member’s issues and problem. Act as a role model helps in guide team members as well as developing better strategy for better working efficiency. As a role model team leader has the efficiency of positive interaction and positive attitude that can affect the working attitude of team members. It involves various characteristics that help to define the team leader as a role model that is based on increasing the inspiration level of team members. It can be affect the role of team member for doing better work. It can be consider better performance as well as actual dependency of team leader in the organisation. A better team leader has the ability of ethical work in the organisation as well as depends on developing the managerial skills. Therefore in the organisation team leader should be require as a role model that can be helps to provide better inspiration to team member. That would help in increasing their work efficiency. 1. In the geologists, the issue has been occurring due to change in the organisational working structure that is related with changing the roles and responsibilities of team members. It identified that three team members has been proposed as the post of administrative as well as they have been changed their roles and responsibilities for team work. Therefore it can be developing various issues. Due to organisational change team member can be generate the condition of frustration or irritation towards their work. It can be affects individual perception and change their mindset for team work. It is an affective matter in the team member that require to resolving as soon as possible. It requires appropriate solution that can be help in resolving these issues. Change system in the organisation can be affects the employee interaction towards their work. Therefore team members require the managing these changes effect. 2. As a team leader my roles and responsibilities will be large in the organisation. Open communication strategy would be requiring managing the work efficiency of team members as well as easy to share information and ideas to team member easily. It requires the better communication strategy without availability of any barriers. That can be used to managing the working criteria of team members. All team members can be communication their opinion and suggestion with management and getting the response or feedback immediately. It can be used to resolve the problem of team member that is related with directly communicate the individually problem with top management and having proper solution of it. 1. In the team it would be proud moment to share the good news with team member and manager. It can be helpful to increasing the confidence level of team members towards their work. In our organisation good news is occurred as proper satisfaction of client as well as dealing with them to fulfil their further requirement. It can consider as good news for team member as having the better feedback of their work. It can be discussed by team leader as conducting the meeting or gathering or all members at one place. 2. It is very easy communicating good news with team member because of availability of positive news. 3. It is really very difficult to communicate about bad news with team member because it can be consider as negative news. It can be affect the working attitude of team member as well as can be affect their performance for organisational task. Therefore team leader should be aware to discuss about bad news. In the organisation the problem of change has been occurred due to changing the authority of three team member as an administration. The changes system in the organisation can ne affects the individual performance for the organisational task. It has been changed the roles and responsibilities of individual in the team that is affected the individual task responsibility. It can be generate the condition of Irritation and frustration of team members for their work. Therefore team leader should be focused on managing the issue. It can be affected the working attitude of team member and the condition of conflict can be generated. It is very difficult to broach this information with team members because in the team it is very difficult to share bad news with the team members as well as manger. It can be consider as negative news of the team member that can be affect the working attitude of them therefore team leader should be focused on various strategies to resolving these issue. Team leader should be creating proper strategy to maintain the gap between these issues therefore it can be better strategy of leader that should be beneficial to resolving the issue. For communicate the problem with manager team leader should be focused on better way that can be either meeting or group discussion. It is an important task of the team leader that how it can be communicates the message with team member and manager. It should be focused on various tools and techniques that can be affect the strategy of team member. It should be require better way to handling the issue and identifying better way to convey the message with team member. It requires the working criteria of tram members. Team leader should be required to generate better solution of the problem therefore team leader should be focus on creating the strategy for developing the solution. 1. Unresolved issue can be conducting the problem again and again in the team therefore it can be considered as an issue. 2. It is needed to taking following up about the unresolved issue because it can be helpful to indentify the effect of the problem with team members. It requires to identifying the issue within the team for this unresolved issue. Encouraging participation among the team members must assure to take the responsibility of their own work and of the whole team. Policies and procedures must be developed to encourage participation among the team members. Feedback must be implemented in order to encourage the team members in the work assigned and received input from them. Team leader must work on building the environment that assist the team in sharing the information, by encouraging the team members participation in the activities, accompany the team managers to take the responsibility of their own task and team collectively, steps will be implemented in order to increase the cooperation among the team members, assist team members in identifying the issues and resolve their work problems. Team leader must work as a role model for the whole team. A leader must take effective steps to build the environment where all the team members work mutually in order to achieve the objectives. He must clearly define the role, responsibility to every member in conformity with the organizational objectives. He must work with the team members in order to assign the responsibilities to them. He must develop specific plan in order to measure the performance. He must steps to coordinate the individual efforts with organizational objectives. All the members must work in a team. 1. He must take the responsibility of the conflict involved and try to solve it. 2. He must analyse the fact that every person is different and his ideas may be different. 3. He must domain the dignity of individual. 4. He must actively listen to the problems effectively and communicate to others in effective manner. 5. He must communicate in effective and polite manner and will not give emotional reactions in concern of situations. 6. Share up the feelings with each other in order to have friendly environment. 9. He must take necessary ideas to generate the solutions in regard of any problem. 10. Modify the alternatives available and find out the best among the rest. This report indicates about availability of leader in the team. It ensure about the importance of team leader. It discussed various roles and responsibilities of team leader in the team. It includes the detailed information about communication strategy of team leader. It conducts various strategies to resolve the problem of conflict as well as avail proper information to team members. It discussed the information about sharing the roles and responsibility of team member for individual task. Further availability of diversity strategy is discussed to avoid discrimination. And finally is outline the importance of team leader as a role model. In the team work, team leader has an important role that is related with motive and guild to team member for doing better task as well as inspire to team members. Team leader focused on roles and responsibility of team members that is related with assigned them the task which is based on their skills and knowledge. It is indeed to creating the strategy for the development of employee work efficiency. It is require for all level of management. It needed for team leader to focuses on conflict resolution strategy. Team leader should be focused on autocratic leadership style that is based on providing the opportunity of decision making and planning to team members. Team leader role is focused on managing the strategy for diversity. It should be require to maintaining proper relationship with team member. Team leader should be collecting the feedback from their clients as well as checking their performance level. Leader require to focuses on training and development strategy to enhance to skills and knowledge of their members. At the condition of availability of bad or good news team leader should be focused on better strategy to convey this message to team member and manager. Therefore it can be justified that team leader has an important role in the team management and guide and support to team members. To guide or inspire to team member team leader should be focused on deal with team members as a role model. It is related with inspire to team member via real example of a person. Team member always take serious to role model and always focuses on following them. It can be affective for team members. Team member can be focused on the follow their role model as well as developing their performance criteria. It is require for the team leader to act as a role model to inspire to team members. Therefore team members are always focused on strategy of team leader as a role model as well as team leader should be require to act as a role model in the team. This report helps to develop the understanding about role and responsibilities of team leder that identifies as team leader has an important role in the team as well as having various responsibilities. Team leader conflict resolution strategy is helpful to resolve the condition of misunderstanding between team members. It can be helpful for team member to providing proper support. Further diversity strategy of team leader is helpful to avoid the issue of discrimination. Team leader’s autocratic leadership strategy is helpful to providing the opportunity to team member for decision making and planning. It is helpful for the management as well as team members. Finally it can be concluded that act as role model of team leader is helpful to inspire or guide to team members.